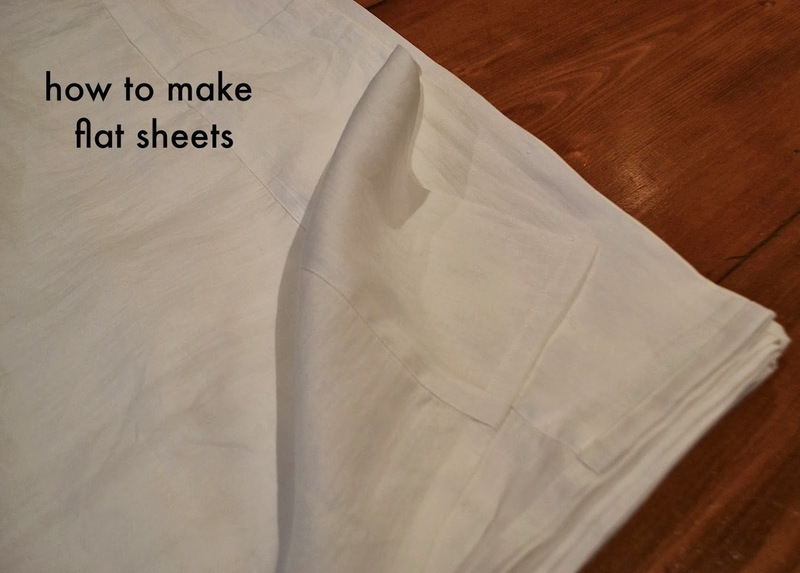 We’ve had a great response to our Italian linen sheeting range and before it’s all gone, I thought I’d better get the next tutorial up to show you just how easy it is to make your own flat sheets. It might be easier to enlarge the images as you work through this post so just click on them if you need to see a bigger version. Note: If you own the new extra-high padded mattresses you may need to add slightly more to the length. As an example, for a queen size flat sheet measure out 245cm x 274cm or 97″ x 108″. This will allow for 1″ (double turned 1/2″ hems) at each side, 2″ (double turned 1″ hem) for the hem at the bottom length and turn back of 5″ plus 3/4” turn in seam at the top. 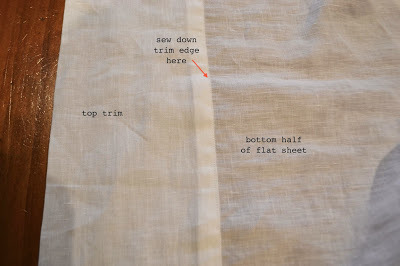 Note: double turning the side and bottom hems helps to add weight to these edges and stops them from curling over. 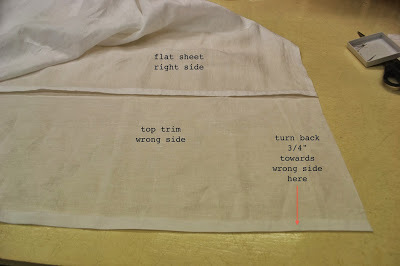 When sewing a flat sheet as per diagram above, simply press back 3/4″ turn at top edge of flat sheet towards right side. 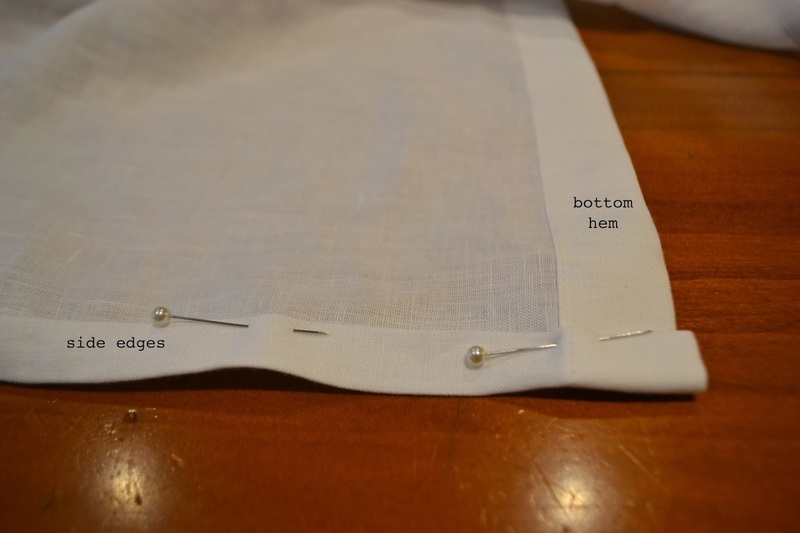 Turn and press back 5″ depth towards right side at top edge of flat sheet, pin in place and edge stitch in place near edge. 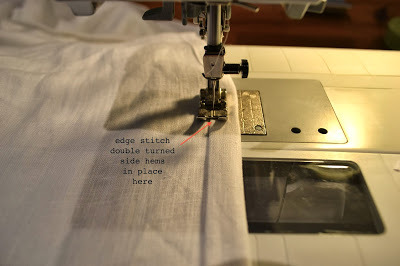 Next follow instructions for bottom and side hems as per instructions below. Another great alternative that helps save on meterage as well as allowing to add a contrast colour/print across the top of your flat sheet, or if you decide to insert a lace edging, piping, binding (make sure to prewash and check these edgings for colour fastness) etc. along the edge of your top trim. For this tutorial, I wanted to use the left over linen saved after cutting out the fitted sheet for my Queen size bed (see here under Note). I used this piece to trim the top of my flat sheet – this measured 33cm x 283cm or 13″ x 111″ . This allowed me to have a deeper trim (5.5″ or 15cm), anywhere between 5 to 6 ” is ideal. 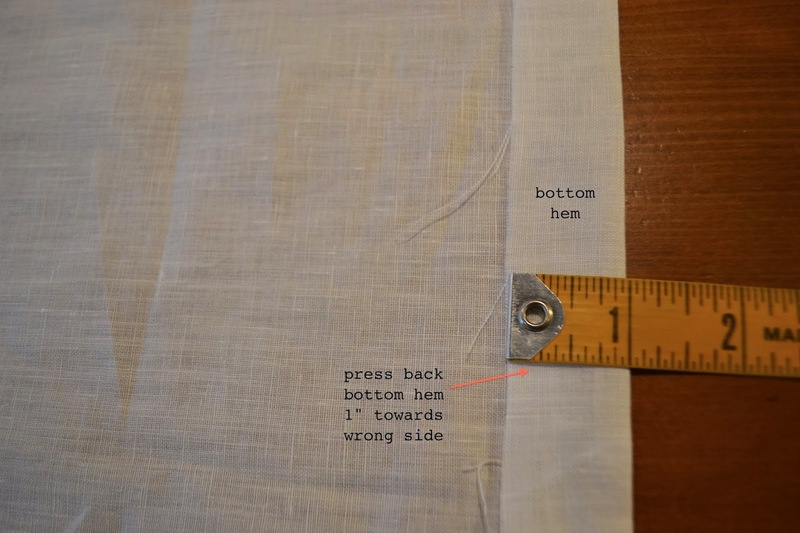 So for the bottom half of my flat sheet I then only needed to cut 2.40cm x 2.45cm or 95″ x 97″, which includes 3/4″ seam allowance at the top edge, 1″ (double turned 1/2″ hems) at each side and 2″ (double turned 1″ hem) for the hem at the bottom length. Pin top trim to top edge of bottom half of flat sheet and sew 3/4″ seam allowance. 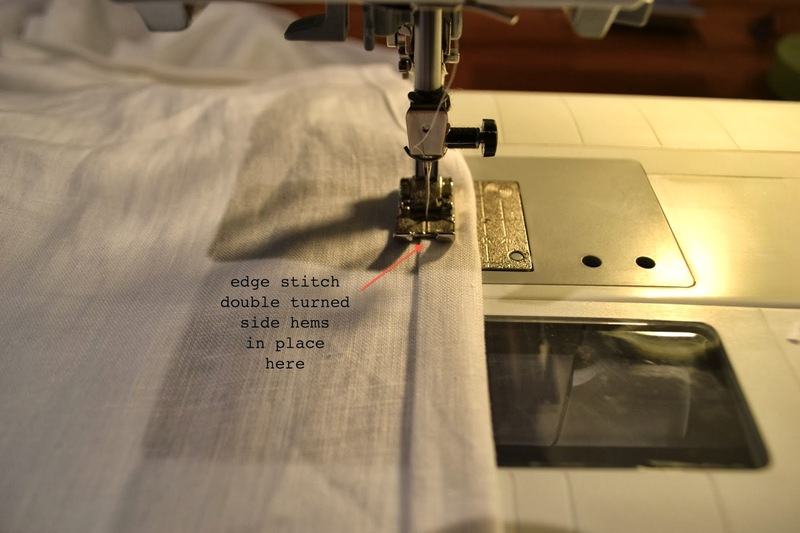 Overlock seam edges together and press seam towards top trim. Press back 3/4″ turning back towards wrong side of top trim. Fold back top trim in half, making sure edge just covers seam (sewn above), pin in place to secure and edge stitch in place near edge. 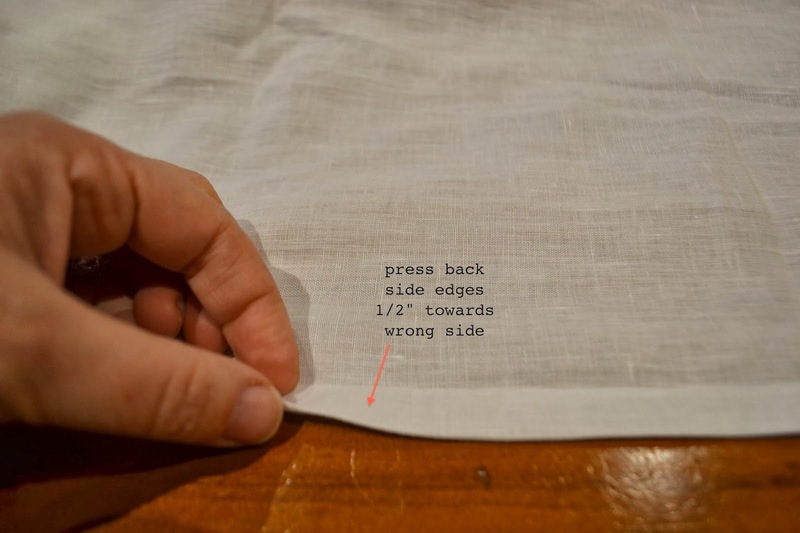 Press back bottom hem 1″ towards wrong side. Turn back bottom hem again 1″ towards wrong side and edgestitch in place. Press side edges 1/2″ towards wrong side. 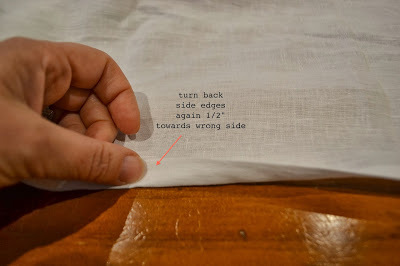 Turn back side edges again 1/2″ towards wrong side and edge stitch in place. Thanks Kristie. Hem stitching on linen sheets sounds lovely! Would you do that with a winged needle? Or use a fancy stitch? 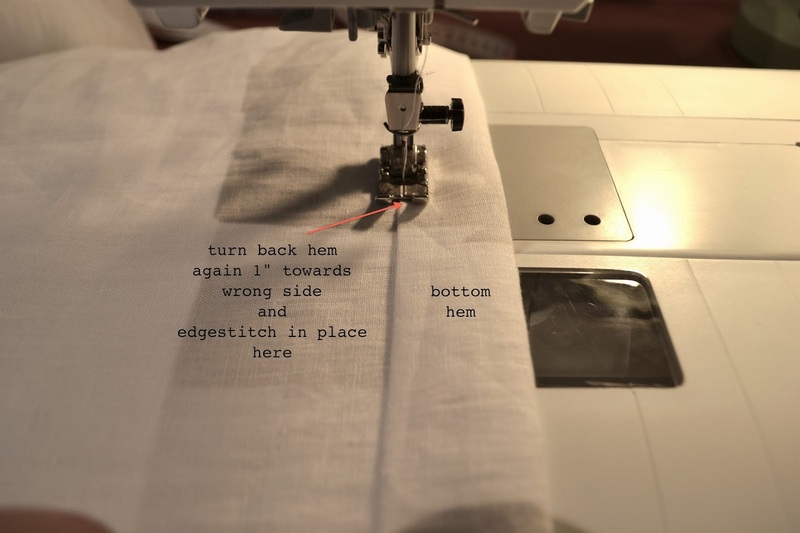 I've been practising with a winged needle and a few "new to me" stitches on my new Bernina! I plan on doing it on the pillow slips, too. I'm also making a tablecloth out of the string colour linen and hemstitching in navy (or maybe red? )…I've got a lot of sewing to do! Send us photos, we'd love to see them. 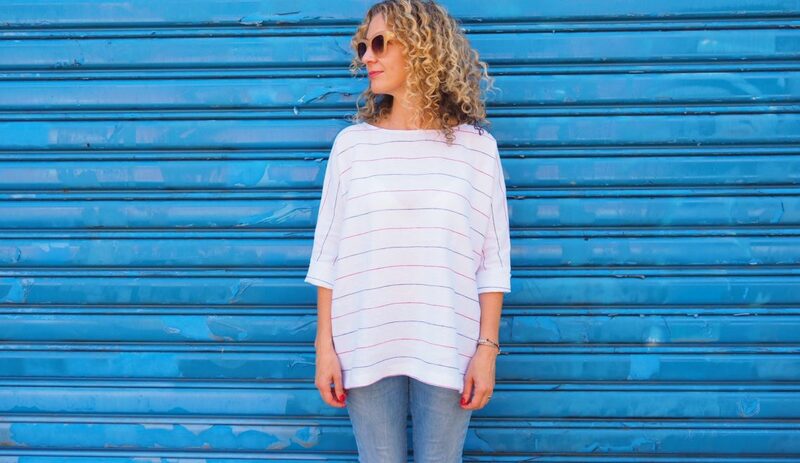 Are you going to re-stock when you run out? I really want to get some sheeting, but I have to wait until after Christmas. Is it going to be permanently part of your line? Hi Veronica. We will reorder this item in 2014 but it won't be available until same time next year (approx Sept). Colours may also vary depending on what's available during our next buying trip. There is still some stock left but it's quite limited as the range has been very popular. Hi Colette, will you have any white linen sheeting this year? no we didn't reorder the white linen sheeting this year. 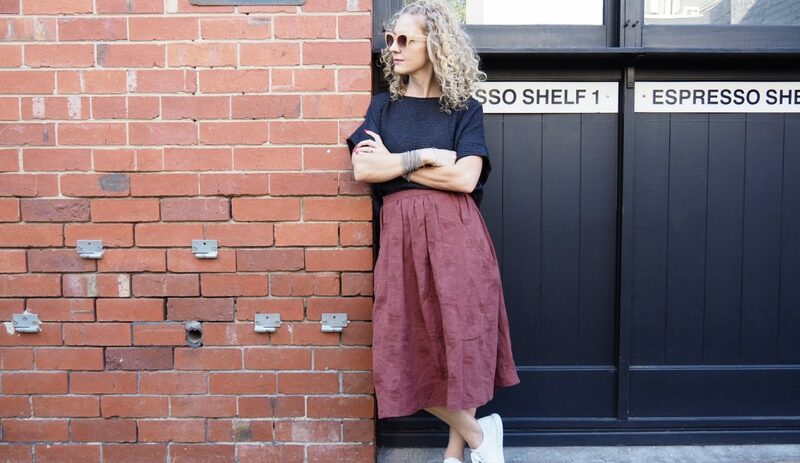 There's still stock of the string, sage and gunmetal left from our last delivery. You do not say how or where you put the seam to get 97″ width…. exactly down the center I guess?